The Oakes Ambulance Service and the Oakes Volunteer Fire and Rescue groups are valuable asset for the health, welfare and safety in the Oakes community. 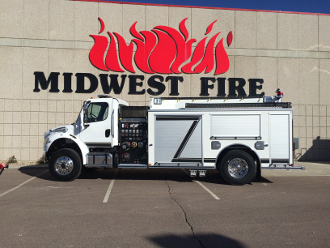 Our new addition is a 2015 Freightliner. Class A Pumper with 2000 gallons of water. The Oakes Fire and Rescue Unit currently have 26 active volunteers in the area. Anyone who is interested in participating in the local unit may contact the local fire chief.